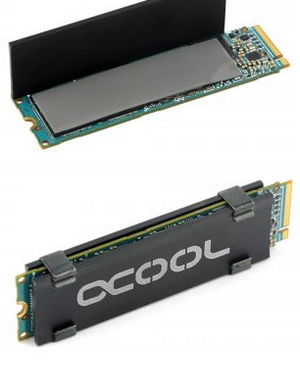 "With increasing IOPS, SSD cooling demands also increase. This applies even to powerful models (NVMe) for common customers. In most cases, controllers can take a lot, but high temperatures do not add to their performance nor lifespan and they can cause problems even in very quiet computers or in a room with higher air temperature. An additional heatsink can do wonders. "